Well, the worrying is all over, Pools are safe, and Carlisle can now score 12 for all that it matters. It's been a terrible season, but that Exeter match was no less exciting than those in the playoff days of many years ago. But the cheering, the hugging and the pitch invasion didn't disguise the fact that the only achievement was that Pools managed to be not quite as bad as two other teams. In some ways there's a parallel here with the Cardiff playoff final, 10 years ago, where Pools had played well, narrowly missing out on promotion to the Championship, with Poolies coming away thinking that the next season they would have no problem going up automatically. The reality was (as is often the case for losing playoff finalists) misplaced confidence followed by relegation. 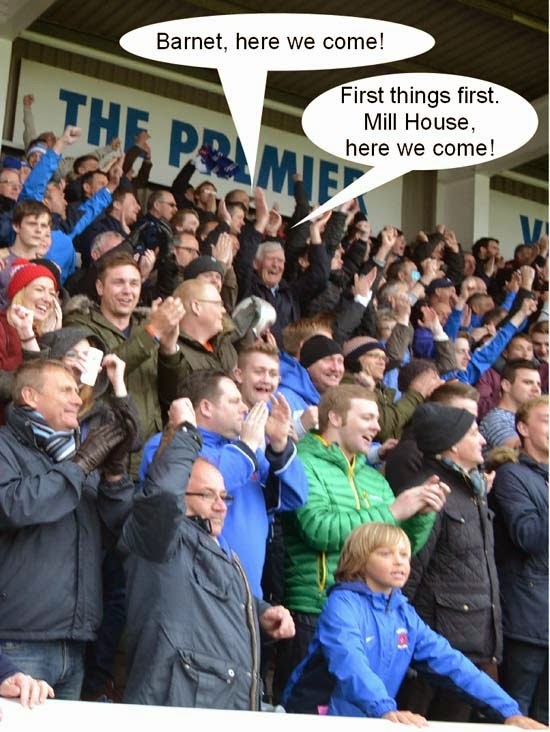 Luckily, most Poolies realise that while Ronnie Moore did a brilliant job of rescuing a basket case, and while some decent players have emerged by various means during the season, Pools have only half a team at most that are up to League standard (when they are all fit), and that next season won't be much better without a significant input of new players. Assuming that the ownership uncertainties allow Ronnie Moore to remain, and with the resources to bring in new faces, there could be grounds for optimism, but those uncertainties could well be the most important factor. "The Grecians also knew what to expect from the home side. The normally immaculate playing surface at Victoria Park had been deliberately scuffed up by Moore’s men in the week as they trained on the pitch twice to make it less suitable for City to play their free-flowing, passing game"
We'd like to thank all the contributors who have stuck with it for 10 months, mostly trying to think of different ways to say that Pools were still terrible! Let's hope that next season Pools will be a better subject to write about. And if anyone out there feels like having a go at writing (or drawing, or contributing in any way), we'd be happy to hear from you. So have a stress-free summer and we'll be back in August, when the stress starts all over again.